It all started with Bradley Wiggins winning the Tour de France then the GB cycling team won eight gold medals in London and the success continued at the Paralympics. The effect of this success saw the number of cyclists on the roads increase massively but the unfortunate consequence of this ‘Wiggins Effect’ or ‘Olympic Effect’ is the rise in the number of cycling accidents and injuries on the roads. The excellent performance of the British cyclists and their dominance in this sport has fuelled the imagination of the old and young alike to brush down their old bikes or to buy new ones. Cycle and sports shops have reported record bike sales since the Olympics. Although cycling has become an increasingly popular way of getting around and is a much cheaper option than driving, it is important to remember that cycling is not without its risks and the resulting injuries can be very serious. Unbelievably many of the cycling patients seen at Accident and Emergency departments throughout the country do not wear protective equipment such as helmets or brightly coloured clothing. Road safety campaigners fear the number of accidents will continue to increase. Not only are cyclists prone to accidents with cars and other vehicles, they are also at risk from poorly maintained roads and treacherous weather conditions causing slippery roads. In recent years almost 17,000 cycle accidents are reported annually yet it is estimated that up to 90% of all cycle accidents are never reported. This suggests that many cyclists do not realise that they are eligible to make a compensation claim when involved in a cycle accident that is not their fault. Amelans Solicitors have specialist lawyers that have acted for numerous cyclists with considerable success. 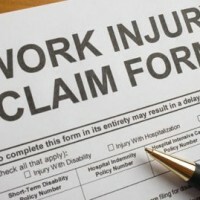 They have set up a website – www.bespokeclaims.com to help and inform those who have been involved in a cycling accident. It is important when needing advice to consult a law firm that offers a service that is specialist to your claim. So whilst all these Wiggins and Olympic inspired cyclists may take all the care in the world whilst pursuing their newfound hobby, there will still be accidents due to irresponsible and thoughtless drivers and poor road conditions. However, a good solicitor that understands the situation and has helped many in similar cases can make the road to recovery a bit less painful.